信濃デッサン館槐多庵 / Kaita MURAYAMA Memorial Art Museum | 北川原温建築都市研究所 | Atsushi Kitagawara Architects Inc.
Kaita-an is a gallery for Kaita Murayama, Japanese painter who died prematurely. 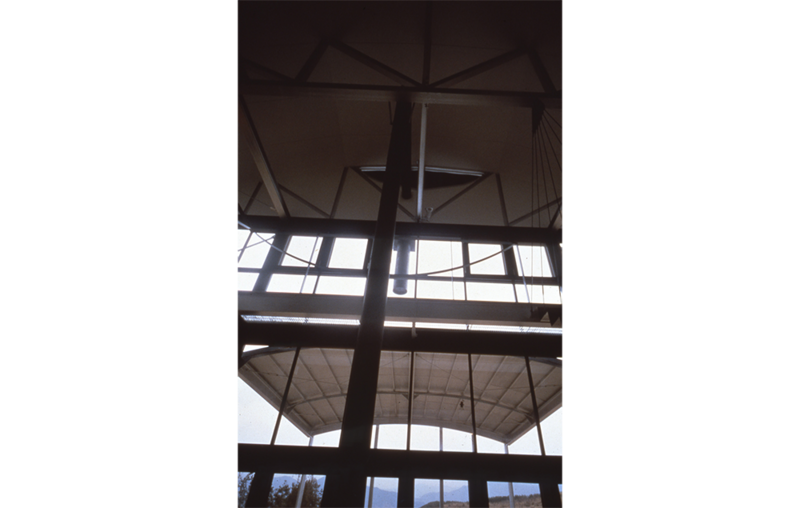 The gallery is situated at almost the middle point between old temple (Zenzan-ji at Ueda city, Nagano) and pig farm. The image of Lautréamont is immediately associated with the combination of temple, mausoleum (Kaita-an) and pig farm and has an impact on the architectural concept of Kaita-an. Walking up from a foot of the mountain through the right side of the pig firm, you would find the north elevation of the pavilion which would reflect a classical villa. Approaching closer and arriving at the entrance of the pavilion, you would encounter a rust facade. Zenzan-ji is situated at the left behind. The curved iron wall with a cruciform window forms a part of hundreds meters of virtual horizont. 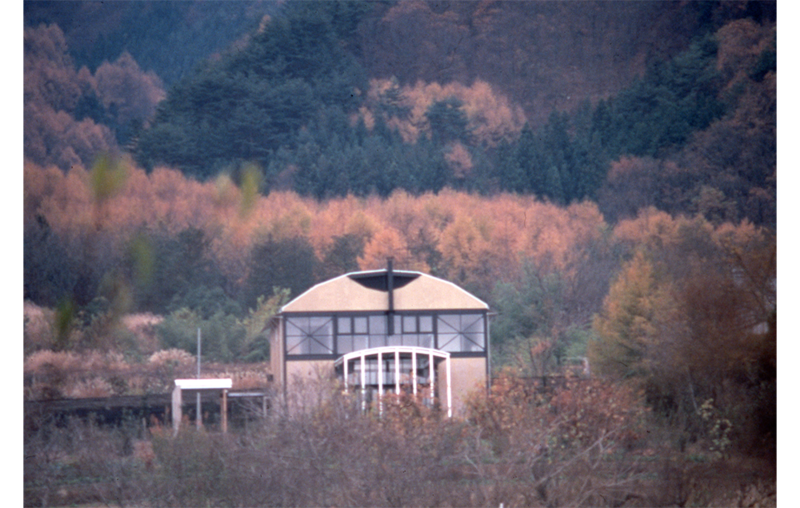 In fact, Zenzan-ji and Shinano Drawing Art Museum compose a theatrical stage as a whole, surrounded by the long and huge horizont. The center point of the curved horizont is conceived to be located at a void within the mountain. On the contrary, though, Kaita-an is exposed to the marginal line when looked from the center of the void. The pavilion is faced at the empty center. From a certain distance, workshop as backyard room is connected to marginal lines with a black neck (studio of the owner, Seiichiro Kuboshima, and service room). Extension tower is to be built in the future and offer guest rooms for performers. In this way, guests of Kaita-an will enjoy experiences of topological transformation when walking through the Godard-type passage at the side of the pig firm.